An inspiring story of friendship and kindness, “The Poppies on the Hill” is a wonderfully-written book that aims to touch and inspire many young readers as well as impart good Christian values that will help shape their characters as they grow up. This story proves that lasting friendships, kindness, and compassion can happen to anyone. Ted Landkammer always had a penchant for storytelling. Along with that fondness, he also enjoys telling his stories to his kids and grandkids. Channeling his talent in sharing inspiring stories, readers will discover a wonderful tale for all ages. It highlights how kindness can touch other people’s lives and sheds light on the beauty of true and lasting friendships. 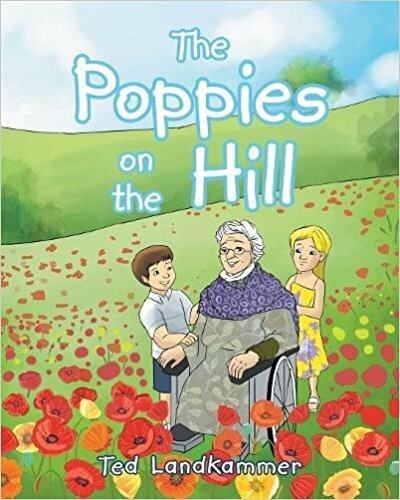 “The Poppies on the Hill” tells the wonderful friendship between a sweet girl named Sarah and a lovely ninety-six-year-old woman named Mrs. Brannigan. Every day, Sarah and her friends always received sweet treats from Mrs. Brannigan. Every day, they always looked forward to the sweet lady’s kindness as they go home from school. Then one day, Mrs. Brannigan suddenly stopped coming out to give treats to the kids. When Sarah and her friends discovered that she was sick, they all decided to plant poppies on the hill in order to make the sweet old lady feel better. Indeed, their kindness is inspiring. This story continues to prove that lasting friendships, kindness, and compassion can happen to anyone. Landkammer’s inspiring tale will soon take part in the upcoming 2018 Miami Book Fair International. Happening on November 11-18, 2018, “The Poppies on the Hill,” together with other book titles from different genres will come together to celebrate the nation’s finest literary festival. Book lovers of all ages will surely have a blast during this eight-day affair! Ted Landkammer is a father of three and a grandfather of six wonderful grandchildren. For the last 30 years, he has told his kids and now his grandchildren great stories to remember. Today, he channels his talent for storytelling through sharing great stories with other children.